The Sacrament of Reconciliation (often called Confession, although confessing one’s sins is only part of the Sacrament) is one of the seven sacraments of the Church. easier to resist sin in the future. be contrite – to be truly sorry for our sins. be willing to do penance and make amends for our sins. We should receive the Sacrament of Reconciliation as often as we think it is necessary. 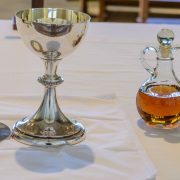 However, the Church urges us to receive the Sacrament at least once a year, preferably during Lent, to help with our spiritual preparation for Easter. 1. Say a prayer beforehand and examine your conscience. Think about your sins, you can write them down if it helps. 2. Go into the confessional and kneel or sit down. Alternatively you may receive face-to-face confession where you sit facing the priest. Do not be ashamed or embarrassed if it has been a long time since your last Confession; be joyous that you are returning to this beautiful gift that Christ gave his Church. 4. Confess all of your sins. Confess the type of sin and how many times for that type of sin. Do not worry if you get confused or forget something. 6. The priest may now offer suggestions with your struggles. Listen to his advice and feel the love you receive from God through these words. The priest will give you a penance. A typical penance may be to say three Hail Mary’s and the Apostles’ Creed. I am sorry for my sins because I have offended you. and to avoid anything that might lead me to sin. Amen. 8. 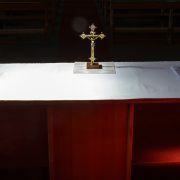 The priest will give you absolution, forgiving you in the name of the Father and of the Son and of the Holy Spirit. He will say ‘Amen’ and you can say this with him or repeat this after him. Leave the confessional or from wherever you have received the Sacrament and complete the penance you have been assigned as soon as possible. When is the Sacrament of Reconciliation available at St. Teilo’s and Our Lady of Lourdes? It is usually available at other times in the days leading up to Christmas and Easter each year, please check the newsletter in the week prior to these feasts for details. Please note that face-to-face Confession is available at any time.